god, I love b-movies and their awesome posters. The picture was take near the Wild Card Boxing Club along Vine- also close to my old apartment in H-wood. I took him around LA a week ago and you can check out his blog entry about it here. Ignore my icky photos and click on his other posts. I must say that he has really grown into his profession and passion. I'm really digging his gallery. Oh btw, this is the first time I've seen him in two years. I say always good to spend time with family...at least in small doses. It all began with my co-worker asking me about Peru. She and her man were possibly planning a trip so she asked for recommendations. I mentioned a couple of places to go and things to do. One of which concerned dishes to try. Thus, bringing us to the subject of the guinea pig. A national delicacy in Peru. Since co-worker had an Irish sense of humor I told her that she should try it. I was testing to see if this would faze her. Adding that I was Andrew Zimmerman enough to try it (I know! Don't judge). I was being silly and in the mood to shock. We were laughing when all of a sudden she stops and looks over my shoulder. I glanced and it was one of our SVP's looking at us with this look of horror on his face. Well looking at me most especially. At first, I thought he was pretending to be in utter horror. After a couple of seconds we were like you didn't have a pet guinea pig before right? Of course as it turns out he did and had around 7 at one time in his life. Wow 7? After he leaves, I discover he passed by our area to drop off a photo of him as a kid for one of the events we were arranging for work. Lo and behold on the photo was him holding the cutest guinea pig with the craziest hair ever. WOW. Like what were the chances huh? 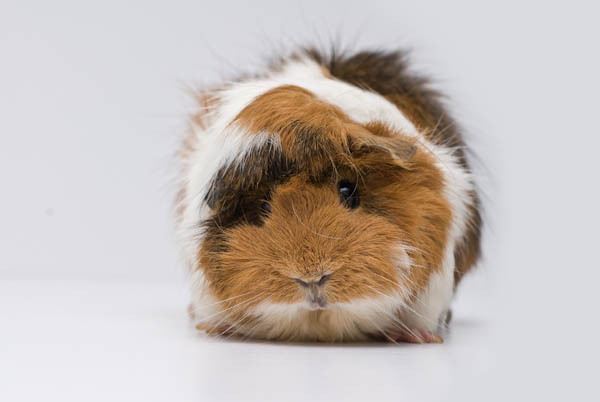 Let's just say that I am now planning to adapt a rescue guinea pig from Peru to make up for my sins.